Trying something new with altered art. Check out the challenge at Penny Black blog. 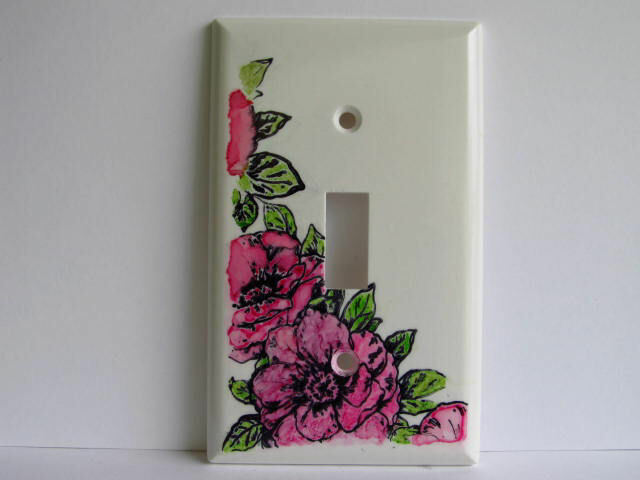 Light switch cover can be stamped and colored to match any decor. This cover was stamped with Flower Gallery using Stazon ink. Let completely dry and color with alcohol inks. This little gadget should be on everyone's craft table. 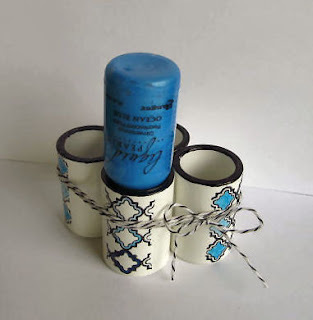 Take four 1/2 inch pvc couplings, hot glue together and decorate as desired. This Stickles/Liquid Pearls/Glossy Accents holder was stamped with Puzzle Parts using Stazon ink and colored with copic markers. Twine was wrapped several times and tied into a bow.